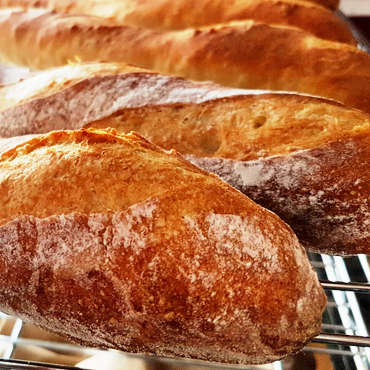 Taste the difference with fresh-baked bread with locally-sourced ingredients. We bake from scratch and can pronounce all our ingredients, so indulge a little! Suprise your face with something new, or a fresh take on something you love. Come for the bread, but don't leave without supper. Laminated dough, puff pastry, incredible crusts, mousses and sauces. Yeup, you'll love them. We believe in supporting local businesses, family-run operations and buying within our province whenever possible. Our goal at Chez Angela is to be a part of this community. Yes, we want to feed families, but we also want to help feed the families of other business owners. When we buy our ingredients, supplies and equipment, we make an earnest effort to source everything as close to our bakeshop as possible. Fresh-milled flour, dairy, honey, produce, sausage, beer -- these are all available from folks who own businesses here in Manitoba, and we are proud to support them! Our passion is artisan breads, and our love for sourdough is deep. We gleefully call our starters our "kids" and feed them twice daily with fresh, locally milled flour. Our signature Wheat City Sourdough tastes different because it is different and only contains flour, water and salt. Celebrations, special occasions or just to say "thanks! ", desserts are a lovely way to end any meal or make the day memorable. 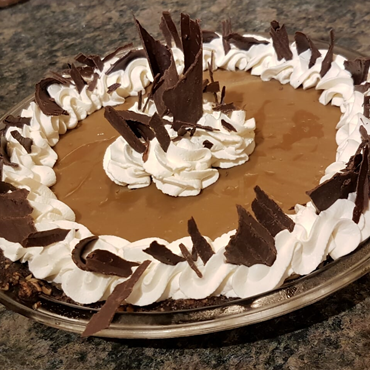 Office parties, anniversaries and birthdays are all sweeter with a wonderfully baked, fresh and local pies, cakes dainties and other treats. 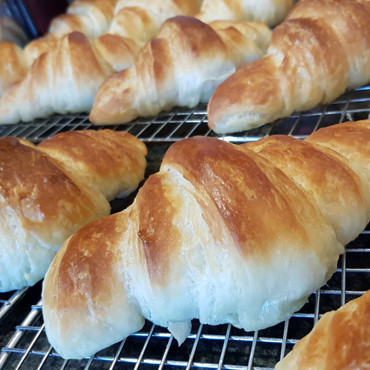 Our pastries are a labor of love. We use premium butter, local flour, fresh fruit and delectable imported chocolate to light up your taste buds. This goodness is what happens when you take 145 layers of pastry dough and butter, rolled and folded together to perfection.